Nina joined Watsi on March 13th, 2013. Four years ago, Nina became the 525th member to automatically support a new Watsi patient every month. Since then, 4,581 more people have become monthly donors! Nina's most recent donation traveled 8,300 miles to support U Kyaw, a man from Burma, to fund eye surgery. Nina has funded healthcare for 58 patients in 12 countries. Faimu is a baby from Kenya. She has been diagnosed with hydrocephalus, a condition in which excess cerebrospinal fluid accumulates in the brain and increases intracranial pressure. As a result of her condition, Faimu has been experiencing an increasing head circumference. Without treatment, Faimu will experience severe physical and developmental delays. 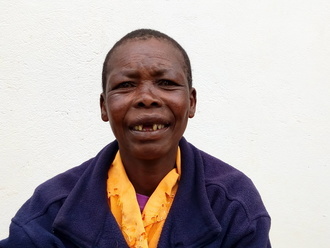 Our medical partner, African Mission Healthcare Foundation, is requesting $685 to cover the cost of surgery for Faimu that will treat her hydrocephalus. The procedure is scheduled to take place on March 21 and will drain the excess fluid from Faimu's brain. This will reduce intracranial pressure and greatly improve her quality of life. With proper treatment, Faimu will hopefully develop into a strong, healthy young girl. Ramadhani is a boy from Kenya. He has two siblings and lives with his grandmother. He is in third grade. Ramadhani has an ear perforation that has affected his hearing ability. This has in turn impacted his academics. Now, it has been recommended that he undergo a tympanoplasty. If not treated, Ramadhani risks total hearing loss. Surgery is scheduled for February 12 and will cost $591. Ramadhani’s grandmother says, “My prayer is to have my grandson treated and be able to hear. Its will give me joy and progress." 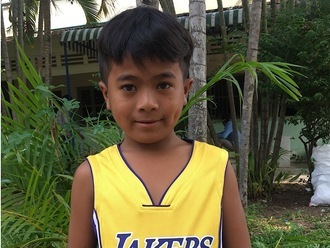 Hongdarorm is a fourth grade student from Cambodia. He has an older sister and two older brothers. He likes drawing and playing football. He wants to be a doctor when he grows up. He enjoys drinking coconut juice. Four years ago, he was burned by a fire on his foot. Burn scar contractures have developed, tightening the skin around his burn. It is difficult for him to walk and bend his toes. When Hongdarorm learned about our medical partner, Children's Surgical Centre, he traveled for two and a half hours seeking treatment. On May 1, surgeons at CSC will perform a burn contracture release surgery to to mobilize his foot and toes again. Now, he needs help to fund this $448 procedure. He says, "I am looking forward to playing football with my friends after surgery."